DUI: Can I win my drunk driving charge if BAC was 0.0%? 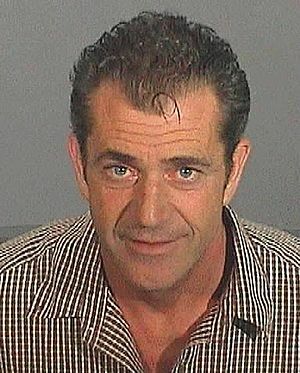 [caption id="" align="alignright" width="300" caption="Mugshot of Mel Gibson taken on 28 July 2006. (Photo credit: Wikipedia)"] [/caption] Several times a week on our DUI forum we get questions from drivers who were arrested for drunk driving but who passed the blood alcohol concentration test or who had a very low BAC on the test. Many of the drivers want to know if they can beat their DUI charges. If you have been arrested for drunk driving or driving under the influence of alcohol or drugs and the breathalyzer registers less than illegal amount of 0.08% you may still be convicted of DUI, but the officer will need sufficient evidence to prove that your driving was impaired and you were unable to safely operate your motorized vehicle. Probable cause for a DUI arrest can include erratic driving, slurred speech and watery eyes. There is also a chance that a breathalyzer may register a 0.00 but the driver was impaired by drugs, which might not show up until a blood or urine test was given. What do you need to consider in your DUI arrest? First, consider if the officer has any evidence either obtained through a test, a search or a confession which can be used against you in court to prove that you were impaired and unable to safely operate your car. If the state has evidence which proves you were intoxicated it is time to talk to a drunk driving lawyer and begin discussing possible defenses. For instance, is the state willing to reduce the charges or penalties? Is a dismissal possible? Are you eligible for a diversion program or plea bargain? If the state is not willing to work with your DUI lawyer and you think you have a great defense than it is time to discuss how best to defend yourself in court. Drivers who are not convicted of drunk driving may still face administrative penalties from the Department of Motor Vehicles in their state. If you were arrested but refused to take a blood alcohol content test after the DUI arrest you may face a license suspension, even if you are ultimately found not guilty of drunk driving. So what if you know that you are not drunk and an officer asks you to submit to a blood alcohol content test? In many states refusing the test will result in a license suspension for up to one year. If this is your second DUI arrest you might face longer suspensions. If your license has been suspended you must request a hearing, generally within a few days of the DUI arrest, to challenge the administrative hearing. Should I contact a DUI lawyer? If you were arrested for drunk driving and your breathalyzer and chemical test were below the legal limit and the state has little evidence that your driving was impaired it might be possible that the state will eventually drop the DUI charges and you would not need a DUI lawyer. For most drivers, however, talking to a DUI lawyer will be one of the first steps they need to take after a DUI arrest. A DUI lawyer can review the evidence the state has and determine if it is worth it to fight your DUI.